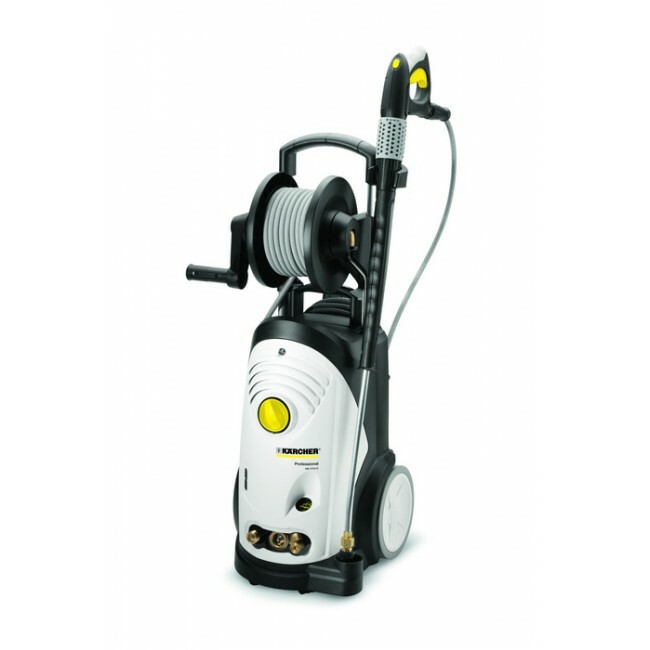 Cold-water high-pressure cleaner for daily commercial use in the food industry. The HD 7/10 CXF provides impressive mobility, compactness and cleaning performance in hygiene-sensitive areas. Featuring a 15m non-marking hose on a hose reel, a tough, high performance motor and axial three-piston pump, the 7/10 CXF is built to perform in demanding environments. The CXF also features non-marking wheels, light grey covers that are easy to keep clean, and water inlet temperature of 80°C. This machine is therefore ideal for use in food preparation areas and other hygiene-sensitive areas.